Neal Meyer coached in the NBA for 16 years at leading franchises such as the Los Angeles Clippers, Cleveland Cavaliers and Portland Trailblazers. He has coached some of the NBA’s biggest stars such as Shaquille O’Neal, Scottie Pippen and LeBron James. Michael Jordan is one of the greatest to ever play the game and finished his Chicago Bulls career in dramatic fashion. The Bulls were playing the Utah Jazz in the NBA Finals chasing their third successive NBA Championship. In Game 6 the Bulls were trailing by three points in the final minute. Jordan scored to shorten the lead to 86-85, but Utah still had the ball. 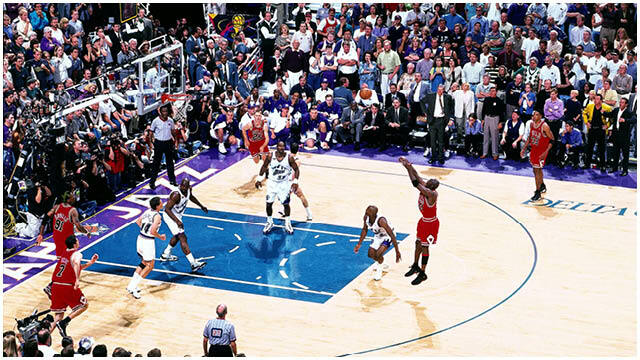 That didn’t stop Michael and he stole the basketball and scored a game-winning two-point basket with only 5.2 seconds to go, leading the Bulls to victory and producing the most famous moment in NBA history in the process. Magic Johnson won five NBA Championships and is regarded as one of the all-time greats of the game. In his rookie season, a 20-year old Magic Johnson was tasked with replacing injured NBA superstar Kareem Abdul-Jabbar as the Los Angeles Lakers’ starting center in Game 5 of the NBA Finals. The highly-touted youngster, playing out of position, scored 42 points, grabbed 15 rebounds and dished out seven assists to showcase to the world just how good he was. The Lakers eventually won the NBA title and Magic Johnson was named the MVP of the NBA Finals. Down 3-2 in the series and three points with just seconds to go in the 2013 NBA Finals, the Miami Heat looked down and out. There was time for one final shot, but LeBron James’ effort was no good and the game looked over. 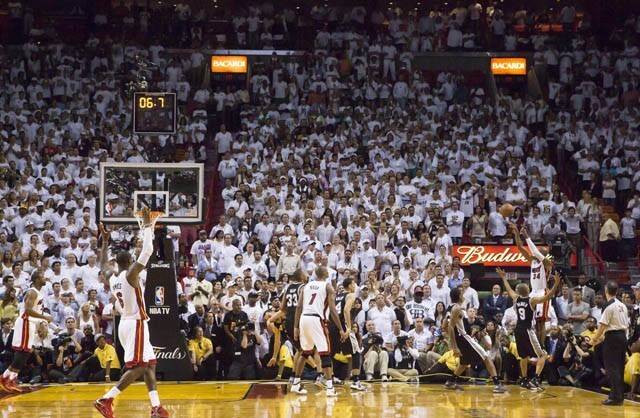 Then, Chris Bosh fought to secure the rebound and passed to Ray Allen behind the three-point line to tie the game as the buzzer went, scoring one of the greatest shots of all time. The Heat went on to beat the San Antonio Spurs in overtime and then won Game 7 to clinch their second NBA Championship in as many years. In 1970, the New York Knicks faced the Los Angeles Lakers in the NBA Finals. Captain Willis Reed tore a muscle in his thigh during Game 5. Consequently, he missed Game 6 and the Lakers tied the series. In Game 7 in New York, Reed played despite being injured. His comeback was crucial in leading the Knicks to their first ever Championship. I’ve worked in Europe for many years now and the feel-good factor felt in Germany on the back of the Dallas Mavericks title win in 2011 was incredible. 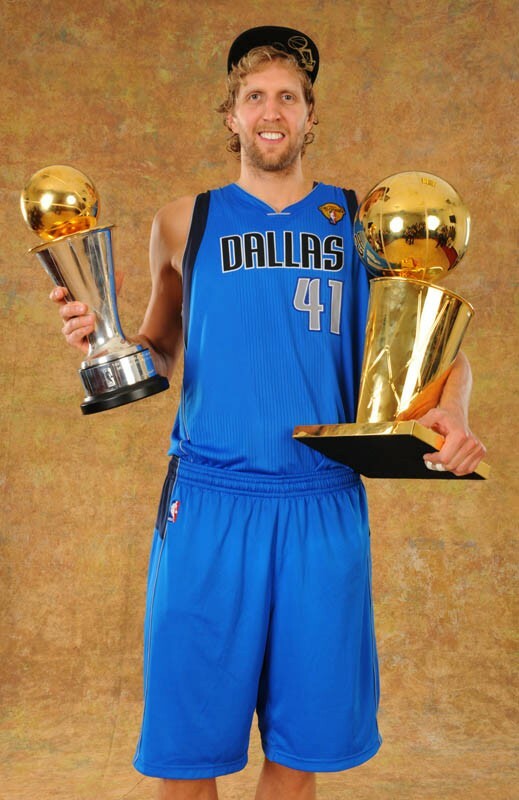 The unassuming Mavericks weren’t even supposed to make the Finals and German superstar Dirk Nowitzki had the reputation of a choker – not in 2011 though. Taking on a Miami Heat juggernaut that included LeBron James, Dwyane Wade and Chris Bosh, Nowitzki produced a very impressive NBA Finals, scoring 26 points per game and averaging 9.7 rebounds as he took his team to the title. The response he got when he returned to Germany as an NBA Champion was phenomenal and showed the global power of basketball.